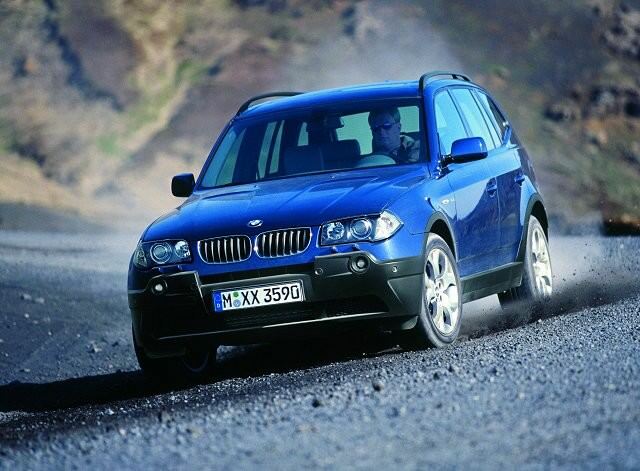 BMW was quick to capitalise on the growth of the compact SUV market with the arrival of its X3 in 2003. It took until 2008 before Audi offered its Q5 rival. BMW was quick to capitalise on the growth of the compact SUV market with the arrival of its X3 in 2003. It took until 2008 before Audi offered its Q5 rival. As a result the BMW went on to be a big-seller, rivalling Land Rover's Freelander for size and utility - if not its off-road ability. The BMW is unsurprisingly focused on on-road performance, the X3 quickly being recognised as the best driving 4x4 of its type - by some margin. It was replaced by a new model in 2010. Given BMW's sporting driving goals, that the X3 headed to the top of its class for driving dynamics comes as no surprise, but there are some compromises to be made for its agility in the bends. The suspension is firmer and far more unyielding than its nearest rivals, and while it'll apply itself decently enough when you reach the end of the farm track, it'll give up off-road before the Land Rover Freelander does. Given most buyers rarely set a wheel off tarmac that's of little real concern. Engine choice in its worldwide markets is expansive, though you'll struggle to find anything but more recent 2.0-litre diesel options in Ireland, or, if you're looking at earlier examples, there are a few 2.5i and 3.0i petrol models to pick from. Obviously the diesels make the most sense, their running costs far more palatable than those petrol engines - though the 3.0-litre straight-six petrol unit is a cracking engine if you're happy to spend a good deal of time and money at the petrol station. Trims follow the usual BMW route, so there's SE, Sport and M Sport offerings, the latter getting sharper looks and an even sharper, uncompromising drive. Most are manuals, though BMW did offer the X3 with an automatic transmission. Specification in all is good, with air conditioning, alloy wheels and electric windows all-round. If there's an area where the X3 has been long criticised it's inside, the materials it's built from not up to BMW's usual high standards, though this improved with updates in 2005 and 2007. You'd be mad to go for anything but the 2.0-litre turbodiesel, its blend of performance and economy making it the most sought after, and the most prolific in the classifieds, too. SE trim will suit most, as well. A fine-driving alternative to an estate or more off-road orientated SUV, the X3 has a premium badge on its bonnet and is priced accordingly. For many it'll be worth it, but the Audi Q5 is a more comfortable all-rounder.